The paintball equipment market continues to remain consolidated among Tier 1 players, wherein top two companies, G.I. 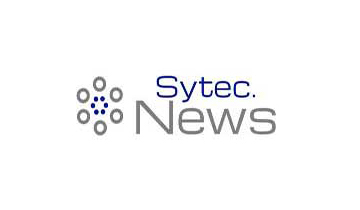 Sportz, Inc. and Dye Precision Inc., collectively account for over two-third revenue share. 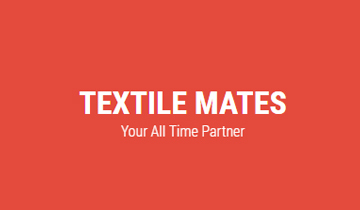 Strategic partnerships and R&D investments are key business expansion strategies adopted by Tier 1 players, who are meanwhile engaged in the vertical integration wherein major investments are focused toward in-house development of reliable & premium paintball equipment. Active engagement of G.I. Sportz with paintball tournament associations and organizations, and Dye Precision’s efforts toward strengthening its relationship with local distributors, are primary examples of Tier 1 players’ expansion strategies. Tier 1 paintball equipment manufacturers are also concentrating on providing sponsorships to leagues and championships for enhancing their brand image. Tier 2 and Tier 3 paintball equipment manufacturers are focusing on consolidating their presence in the emerging markets, amid challenges such as limited presence in the global paintball equipment marketplace, intense competition from tier 1 companies and poor distribution network, . ‘Targeted offerings’ is one of the prime strategies adopted by Tier 2 players, who are actively engaged in introducing new and economic alternatives of different paintball equipment, particularly in the Asia Pacific paintball equipment market. As the market remains fragmented in Asia Pacific and Latin America, tier 2 and tier 3 players in the paintball equipment market are focusing on strengthening their domestic presence. By offering unique products through innovative marketing strategies, small-scale players in the paintball equipment market are seeking broader recognition in the industry. Paintball equipment sales are limited on account of its amateur nature. The consistency in new and replacement equipment sales, as compared to other professional sports, such as soccer, tennis and baseball, is insignificant in the context of paintball equipment. As paintball is less viewed as a professional sport and more as a leisure activity, there is a lack of government support and funding in the sport. While bulk of paintball equipment sales can be linked to spending on leisure and fun, spending on buying paintball equipment is witnessing further competition with the increasing popularity of other recreational activities. Paintball has witnessed a significant evolution over the past few years, with the introduction of novel equipment developed for enhancing safety of the sport. While manufacturers have introduced advanced and reliable paintball equipment, the sport is facing controversies. Incidences of ‘paintball wars’ where paintball equipment are being used in place of guns during the acts of vandalism have significantly impacted the overall popularity of the sport. In addition, injuries caused during the sport, particularly among children has negatively influenced the participation rate. Although the injury rate of paintball remains lower as compared to other sports, growing distrust towards the sport can hamper the already smaller consumer base, in turn, influencing the growth of the paintball equipment market. Consumer demand for speed and accuracy in shots have led manufacturers in the paintball equipment market to introduce electro pneumatic markers that are more accurate and fire faster. With their superior features, electro pneumatic markers are gradually replacing their traditional counterparts - mechanical markers. Also, electro pneumatic markers allow firing with compressed air, exempting the use of CO2. With design innovations focused on developing safer paintball equipment, manufacturers have introduced a variety of electro pneumatic markers with different internal setups that attract modern paintball lovers. A lightweight design and faster shots of electro pneumatic marker have become popular among all age groups, thereby driving sales of these markers in the paintball equipment market. This section of the paintball equipment market report provides a comprehensive analysis of the key market players operating in the global landscape. 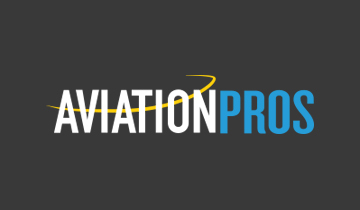 Few of the profiled market player in the paintball equipment market include G.I.Sportz, Dye Precision Inc., Planet Eclipse Ltd., Valken Inc., Virtue Paintball LLC, Arrow Precision Ltd., Gelkaps Sports Pvt. Ltd., GOG Paintball SA, and HK Army. Market strategies such as mergers and acquisition adopted by the market players in the paintball equipment market are offered in this section. For instance, G.I.Sportz carried out three major acquisitions in the past – Procaps (2010), Tipmann (2012) and KEE (2015) and have established its recognition as a top player in the paintball equipment brand. 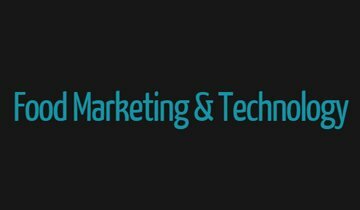 Along with the acquisition, manufacturers are engaged in signing sponsorship agreements to increase their brand visibility. Recent sponsorship agreement between DYE Precision and divisional team Dimension out of Youngstown, Ohio is likely to expose the all-new paintball equipment of DYE Precision. Leading companies in the paintball equipment market have also strengthened their global distribution network. For example, Planet Eclipse and Gelkaps Sports have their sales offices across world regions. Paintball equipment plays a vital role in the competitive shooting sport of paintball. To conduct a safe game, players require specific paintball equipment including marker or guns, masks, paintballs, loaders, barrels, pods, packs and other accessories. Fact.MR has compiled a study on the paintball equipment market and published a report titled, “Paintball Equipment Market Forecast, Trend Analysis & Competition Tracking - Global Market Insights 2018 to 2028”. An in-depth analysis on paintball equipment market is offered in the report, covering all vital aspects that significantly influence the futuristic prospects of the paintball equipment market. The prevailing trends in the sports industry, prominent market drivers, opportunities and challenges are thoroughly analyzed to derive the paintball equipment market forecast. The segmentation section of the paintball equipment market report offers insights on individual segments of the paintball equipment market. Based on the product type, the paintball equipment market is categorized into markers, masks, hoppers, paintballs, pods, packs, barrels and propellants. 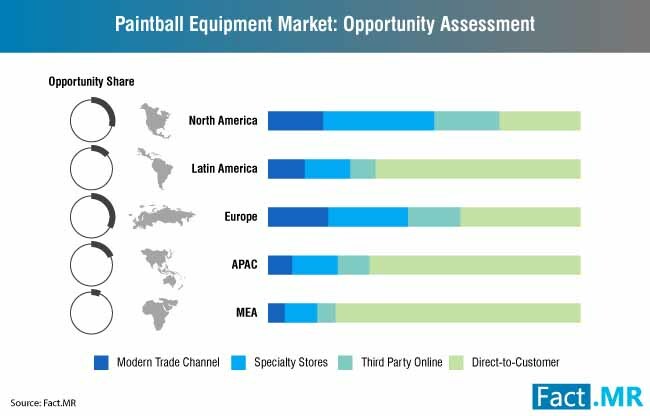 By sales channel, the paintball equipment market finds distribution through modern trade channel, specialty stores, third-party online channel and direct-to-consumer channel. 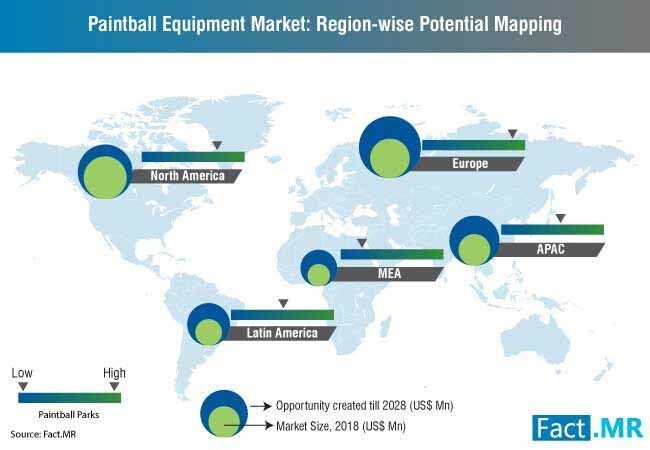 The paintball equipment market report also delivers a regional analysis for the total of five regions across the globe. The paintball equipment market report also discussed additional vital facets of the market in addition to the above mentioned key findings of the paintball equipment market. What will be the growth prospects of the paintball equipment market in emerging economies? Amid limited sports popularity, what role does the national as well as international organizations play in supporting the paintball equipment market growth? How the rising popularity of other team sports is influencing the future prospects of the paintball equipment market? The section offers a detailed discussion regarding the methodology of research followed in the paintball equipment market report. A robust research methodology used to analyze the paintball equipment market derives the most credible forecast of the market during the period 2018 – 2028. 12.7. Gelkaps Sports Pvt. Ltd.
12.10. Allen Paintball Products, Inc.